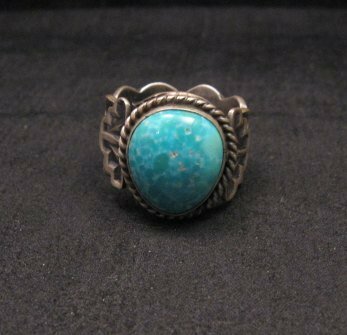 Native American ~ Navajo ~ ols pawn style sterling silver Kingman turquoise ring with fancy silver work all around. Scalloped edges. 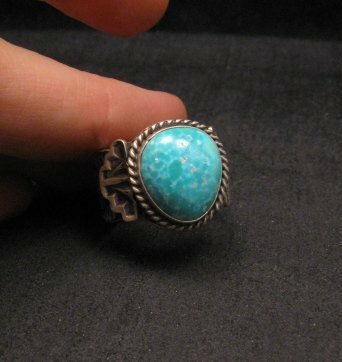 Natural Kingman turquoise stone. 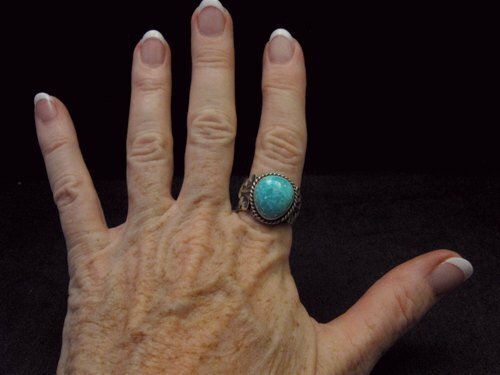 Ring measures 3/4 inch wide. Size 10. Weighs 14.5 grams. 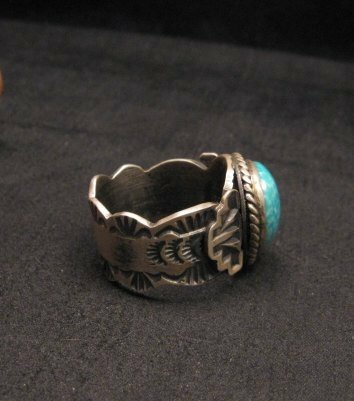 Nice unisex ring. 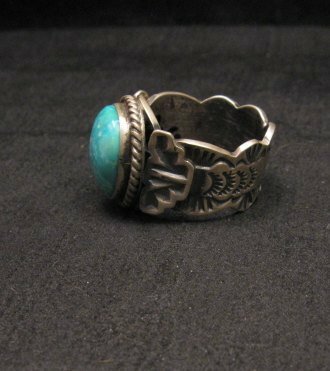 The inside of the ring is stamped sterling and bears Gilbert Tom's hallmark. Brand new and in perfect condition. Gift Box and Certificate of Authenticity included.